What a productive way of testing out the colors. I like your zentangles ^^ I could see some Oysters, Shells, Flowers, an eye, slices of oranges, tongue cells(yeah..my imagination), fibre under microscope,… 🙂 I really can go on forever. It’s just really imaginative! Glad to see you’ve discovered waterbrushes – they’re so versatile. I love watercolour pencils too. And your doodle is fun! 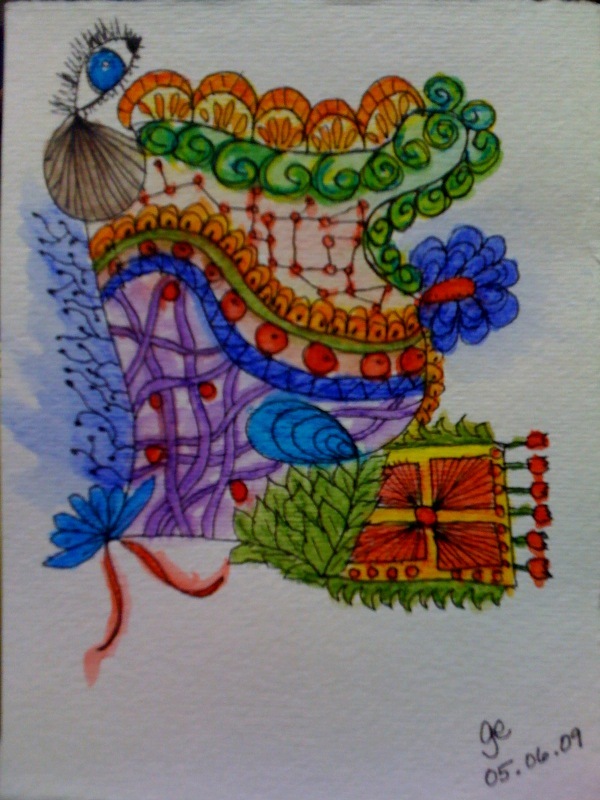 Check out my blog at the url I added for you-I do the Zentangles with watercolour accents also!